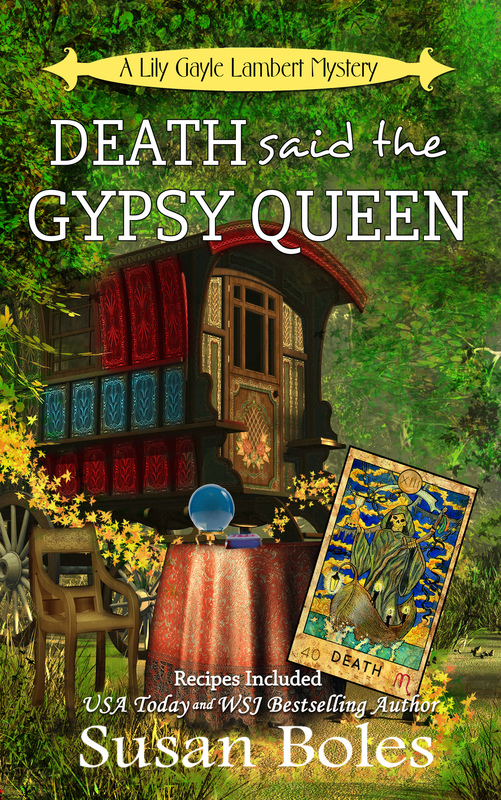 I’m pleased to have author Susan Boles from Olive Branch, Mississippi here to speak about her writing and new release, Death Said the Gypsy Queen that’son blog tour with Escape with Dollycas into a Good Book. Welcome, Susan. Please tell us how long you’ve been published and what titles and/or series you write. My first book was published in March of 2016. It was a standalone romantic suspense called Fated Love. My next book was published in August 2016. That was Death of a Wolfman — which is the first book in the Lily Gayle Lambert mystery series. There are four books in that series including my newest release Death said the Gypsy Queen. They are all published by Argent Ocean Publishing which is my boutique publishing agency. Very nice. 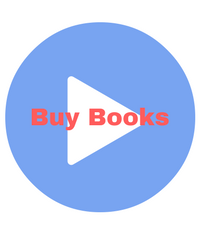 Tell us a little bit about books. 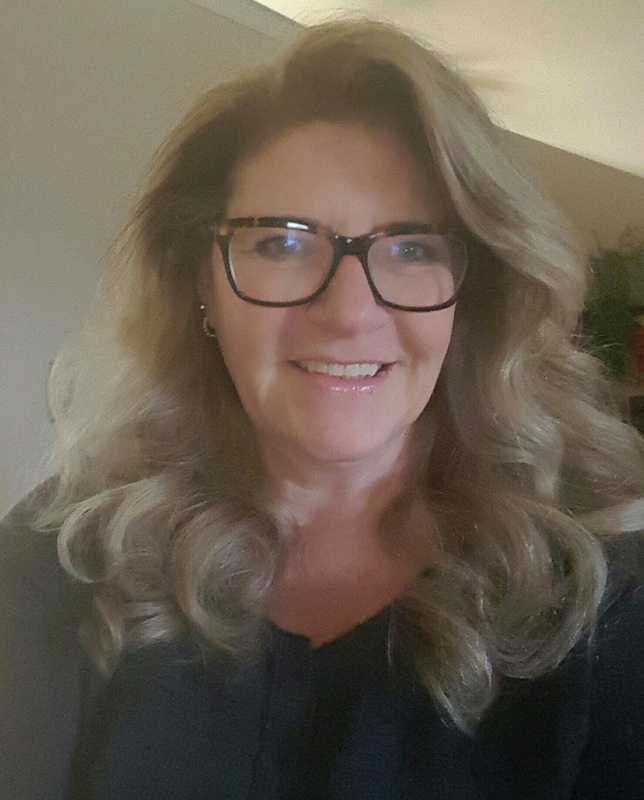 I write the Lily Gayle Lambert mystery series. Book 4, Death said the Gypsy Queen was just released on September 5th. The series takes place in the fictitious town of Mercy, Mississippi. If it were on a map, it would be just south of Memphis, Tennessee. The main character, Lily Gayle Lambert, is a seamstress and genealogist. She makes costumes for people who are re-enactors, participate in renaissance fairs or just want a period costume for any reason. As her side hustle, she ‘helps’ her cousin solve local murders. Her cousin, Ben Carter, is the county sheriff. Congratulations on your new release. Your books sound like interesting mysteries. Your main character, Lily, has an interesting profession. My family and I enjoy attending renaissance fairs upstate and just came back from one a few weeks ago. This year has been a fantastic year for me when it comes to goals. In August I made it to the USA Today Bestseller list and also the Wall Street Journal Bestseller list. Talk about exciting!! To hit those goals has really made my year. I’m hoping to hit the New York Times Bestseller list next. And I want to make it to the USA Today and WSJ Bestsellers lists again. I’ll be continuing to write and publish the Lily Gayle Lambert books and I’ve also begun writing as a contributing author to the Brotherhood Protectors World books. The Brotherhood books are romantic suspense books that take place in Mercy and involve a younger set of characters along with being more romance oriented than the Lily Gayle books. I plan to continue to write books that readers love and build my reader base in order to reach my goals. That’s wonderful. You’ve set and achieved some great goals. I hope to continue to attract cozy mystery readers for the Lily Gayle Lambert books. I think they offer great entertainment along with having a really good cast of characters. With the Brotherhood Protectors books I want to attract romantic suspense readers. These books are a bit more gritty than the Lily Gayle books and also focus on a romance between the main characters. Those are two popular genres. Don’t give up. It’s a hard road. One that will seem all uphill a lot of the time. It’s a lot of work, but doing something you really love takes a bit of the sting out of it. I won’t say it doesn’t seem like work if you love it because that’s not true. Also, look into self-publishing. 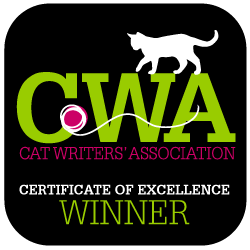 Find a great cover designer, a great formatter and a great editor. Those are essential to putting your best work forward. When I first began writing, self-publishing was not yet around. Other than vanity presses and I didn’t want to go that route. So, in the beginning, my biggest challenge was trying to get an agent. Because, back then, very few publishing houses accepted unagented manuscripts. I got away from writing for a long time for family reasons. When I came back, self-publishing had become a real thing. So, now I self-publish through my boutique agency. I have a professional editor and a professional book cover designer and learned to format myself. It looks like persistence paid off for you. I love doing genealogy. And spending time with friends and family. I also enjoy DIY. I have tiled my own kitchen backsplash and around the vanity area in one bathroom. Those are all very creative pursuits. I love having my books available for others to enjoy. There is such a feeling of accomplishment when I see them on the internet and also in paperback. The part I like least is marketing. I’m a bit of an introvert and you have to put yourself out there to sell books. That was something hard for me to learn. I love that they are fun and all the gore takes place off stage – so to speak. This is from the opening chapter of the newest book in the series, Death said the Gypsy Queen. As they watched, the curtain on the front window of the brightly painted caravan twitched to the side and a gnarled hand motioned them to come closer. Lily Gayle felt Dixie slide closer to her and admitted, silently, to a bit of fright herself. “Do you think we’ve wandered into some kind of movie set up? Lily Gayle followed the pointing finger to see that a small table with an embroidered cloth sat a few feet away from the caravan. And, sure enough, there was a clear glass ball on it. I truly appreciate every person who takes the time to read my books. And who take the time to leave a review and/or reach out to message me via my website. You are all a treasure beyond value. I’m sure your readers appreciate that sentiment. Thank you for the interview with Susan Boles and for being part of the book tour for “Death said the Gypsy Queen”. I enjoy learning more about both book and author this way. I would love the opportunity to read this amazing sounding book which has been placed on my TBR list. Glad you enjoyed it, Kay. Thank you for commenting.